Launched in 2005, 50 years after the death of the mythical Charlie Parker (1920-1955), the tribute to Bird collection celebrates Charlie “Bird” Parker’s life in tribute to the initiatory approach he inspired in the world of Jazz. 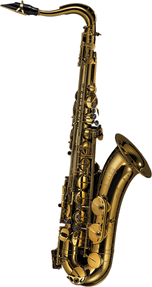 To pay this tribute, five editions signed Selmer Paris and symbolized by a Bird proposed a poetical image of a continent and its culture through a specific engraving and an original design, crafted in the Selmer Paris workshops. A case and customized accessories have also given a touch of class to this elegant whole. Perfectly balanced overall tuning (octave ratios) and a remarkably staged upper register, with the double C sharp mechanism, are compelling features of the "Series III". Its acoustic, mechanical and ergonomic qualities make it a first-class instrument, one that is superbly suited to the needs and uses of our times. Bell/Bow engraving : "Dragon Bird"